The Cobra garage door storage equipment bag attaches to the garage door with four 2″ Cobra Hooks (included). Your stuff is safely stored, easily accessible and clears the clutter in the garage. For use with 4 or 5 panel garage doors. 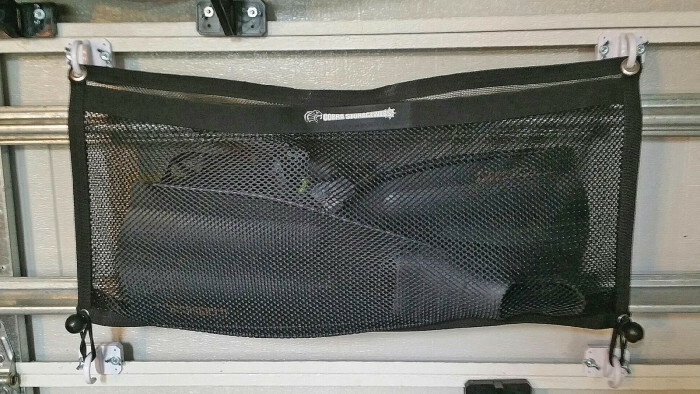 Cobra Mesh Equipment Storage Bag keeps your sports equipment and other items safely stored and easily accessible in your garage. 32″ x 17″ Mesh storage web equipment bag holds a variety of items for easy access. 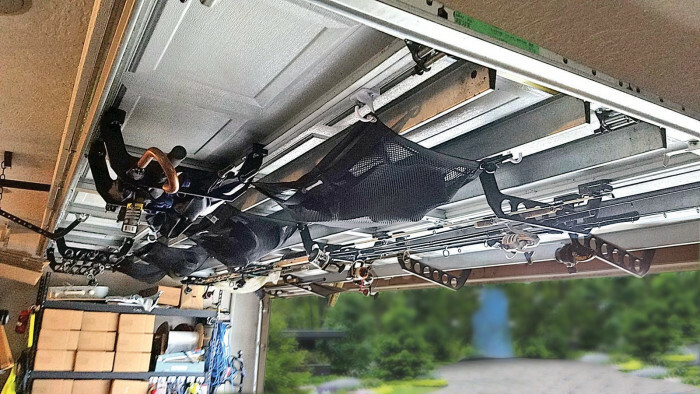 Utilizes your unused space in your garage and clears up your clutter. Protects sports equipment and other items from loss or damage by keeping it up off the floor. Does not interfere with door travel. 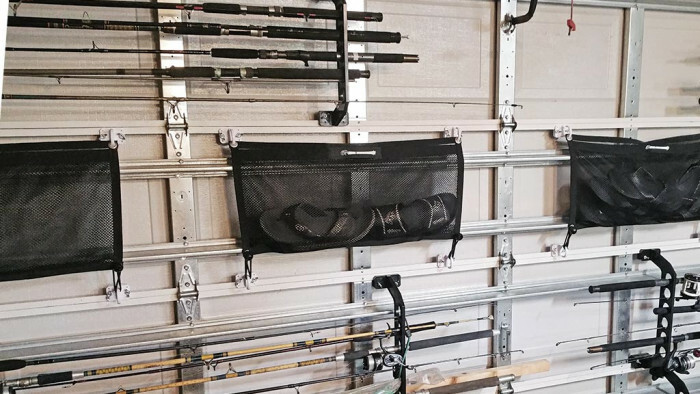 Use anywhere you need to hang items and create more storage. 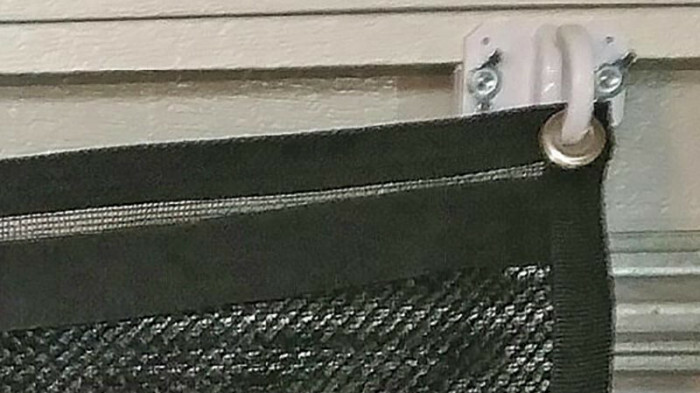 Clamps to your garage door and items like metal shelving (hardware and clamping blocks included). Simple design and white color looks good around the house, office and other work areas. 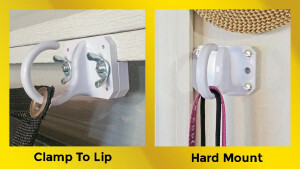 Attach to walls and other hard surfaces using your own hardware.